Herbal Supplies > Grinders & Graters > Nutmeg Grater	Stainless Steel 5.5"
Nutmeg Grater	Stainless Steel 5.5"
Here is the easy way to unleash the fragrant essence of the rock-hard nutmeg seed. Made from strong, durable dishwasher-safe stainless steel. 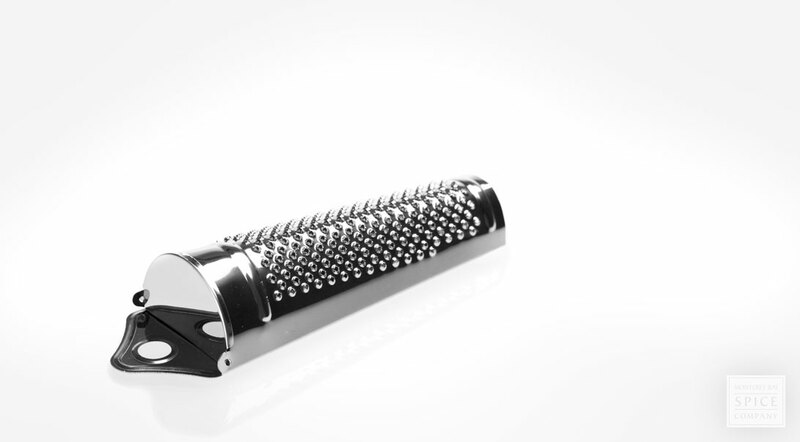 Grater features a compartment for storing one nutmeg seed.